Are you experiencing lawn problems, but can’t see any clear reasons why? Grubs may be at fault! In Southern Ontario, there are three species of white grubs that infest lawns – the European Chafer, the June Beetle, and the Japanese Beetle. So how do you know if you’re battling the bugs? There are patches in your turf. If Spring arrived and you noticed thin patches, brown spots, or areas of your lawn that aren’t growing as fast as the rest, you may need to investigate. Grass that pulls up easily is also indicative of a grub infestation. You have some unwanted guests. 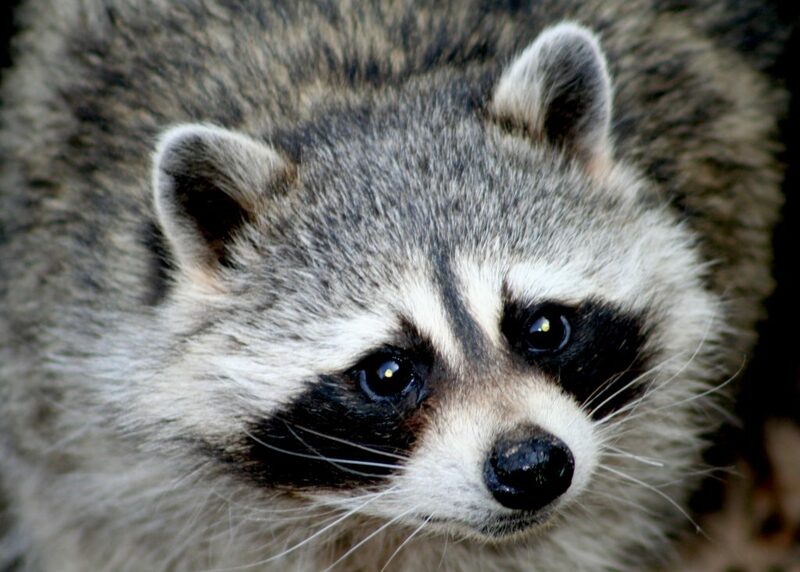 These guests, which include raccoons, skunks, and birds, are often having a bite to eat around aforementioned patches. This suggests there may be an adequate supply of grubs below the surface, especially if they are return visitors. Unfortunately, these animals dig up your grass while trying to get to their dinner, often causing more damage than the grubs themselves. Grubs are visible under grass. This one is pretty obvious, but important. If you aren’t sure if it’s grubs, pull back some turf or dig a very shallow hole about one square foot in size to check for pests. So it’s official, there are grubs in your lawn. What are the next steps you should take? Nematodes are microscopic worms that already live in your soil. They actively seek out grubs and enter their bodies, then release bacteria inside the grubs that eventually kill them. Apply dormant nematodes to your turf and water deeply to push them down to where the grubs are. 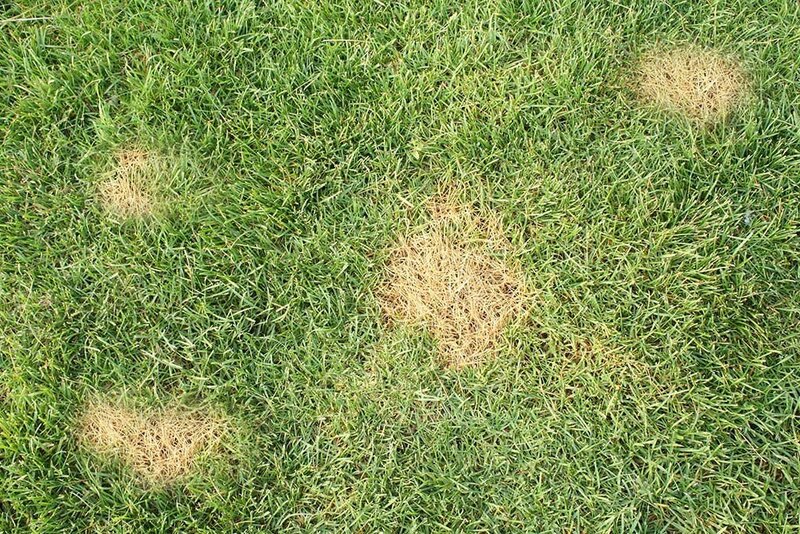 Insecticides, when applied at the right time, can kill grubs beneath your grass. 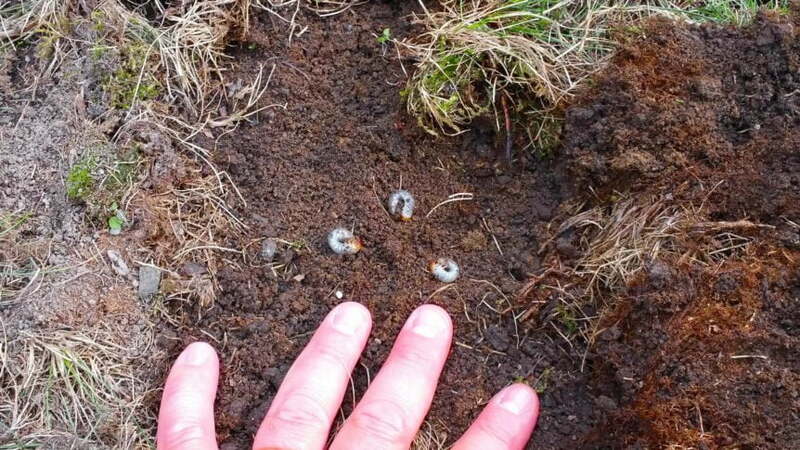 It is best to tackle grub problems when the larvae are still very young, typically late Summer or early Fall, as they grow much larger underground over the winter and become harder to get rid of. Look for a product containing the active ingredient trichlorfon or carbaryl for best results. If you’ve spotted grubs in your lawn, you may not need to act immediately. Count the number of visible grubs in an area one square foot in size, if there are 5 or less you do not need to act yet. If there are 5 to 10, you may want to act depending on the lawn effects you are experiencing. 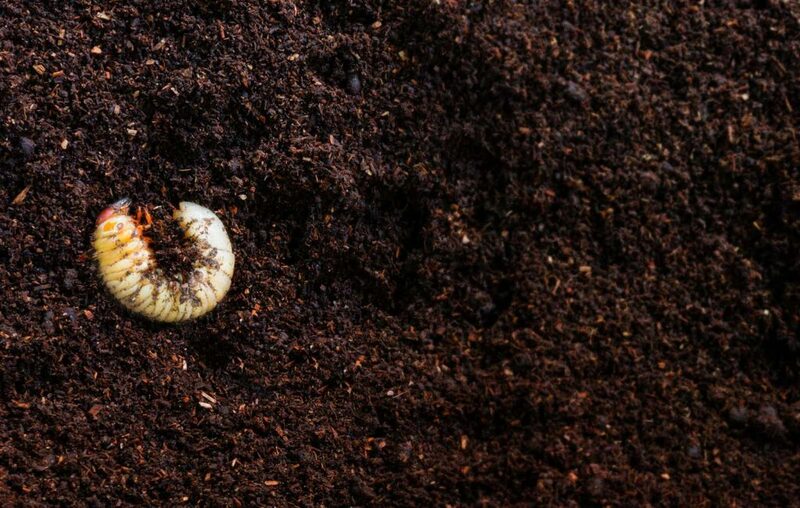 10+ Grubs suggests a problem, and you should take care of them! Grubs love moisture, so an easy way to reduce their population is to dry them out. Of course, depending on your grass type, this could cause your turf to dry out and brown as well, so take this tip with a grain of salt and keep a close eye on the health of your lawn. Hint: Bluegrass (very common in Southern Ontario) bounces back well from dry periods. Let our experts take care of your grub problem. With over 40 years of experience, we can eradicate the grubs and help you keep your lawn healthy and green!